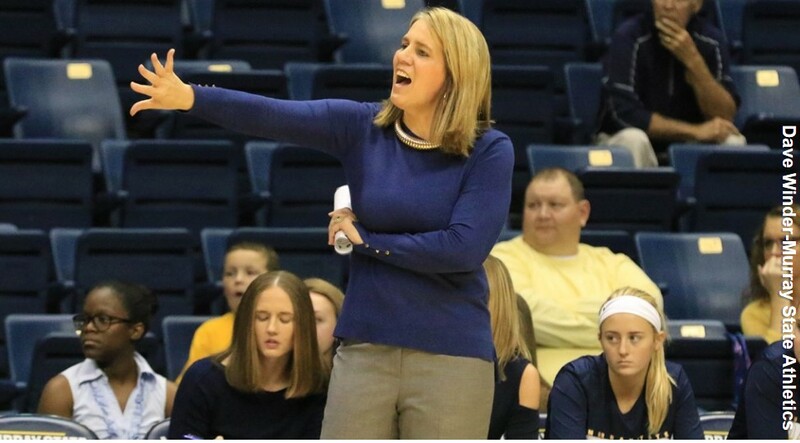 Murray State women's basketball coach Rechelle Turner has announced the signings of five student-athletes to her first full recruiting class with the Racers. The 2018 class features three Murray High Tigers in Alexis Burpo, Lex Mayes and Macey Turley, Henderson County product DeAsia Outlaw and Sadie Hill from Indianapolis, Ind. Burpo is a member of the 1,000-point club at Murray High where she helped lead the Tigers to the 2016 All-A State Championship, two Region I titles and three District Four championships. Burpo is a two-time Paducah Sun All-Purchase Player (2016 and 2017) and was named to the Region I All-Tournament team in both 2016 and 2017. Burpo was nominated for the Wendy's High School Heisman Award and is active in clubs and organizations at MHS. "Alexis is an extremely talented player that can change a game with her athleticism," said coach Turner. "She can defend multiple positions and set the tone defensively, she will be exciting to watch as a Racer." Hill has been an all-conference selection each of the past two seasons and was also named all-county following her junior year. Hill is a multi-sport student-athlete, receiving multiple accolades in both track and field and volleyball as well. "Sadie is a competitive, hard-nosed player that we believe will bring toughness to our program," said Turner of Hill. "She is a versatile player that can score in many ways. Sadie is an outstanding addition to our Racer family." Mayes is a member of the 1,000-point club at MHS where she broke the single-season steals record in back-to-back seasons. The two-time All-Purchase Team member helped lead the Tigers to back-to-back regional championships and three district titles. Mayes was named to the All-A Classic All-Tournament Team twice and is a two-time member of the District Four All-Tournament Team. "Lex is a complete guard," said Turner. "She can shoot with range and score in many ways and is also an elite defender. She has a high basketball IQ and we are excited to add her to our stable." Turley was named First Team All-State following the 2017 season by the Lexington Herald. The Murray native is a part of both the 1,000-point and 500-assist club at Murray High and was named to the All-Purchase Team each of the last four seasons. Turley was named the All-Purchase Player of the Year and the All-A State MVP in 2016 after leading the Tigers to the All-A State Championship. "Macey is the epitome of a floor general," said Turner. "She can not only score, but she makes everyone on the court around her better. Macey is a fierce competitor and is always working to improve her game. We are expecting big things from this future Racer." Outlaw has spent the previous two seasons at Wabash Valley College in Mount Carmel, Ill. Last season with the Lady Warriors, she was named both all-conference and all-region after averaging 12.3 points and seven rebounds per game. Outlaw's 57 percent shooting last season ranked in the top 20 in the country as she helped lead the Lady Warriors to the best season in school history at 31-2, winning the conference, region and district Championship. She was also selected to attend the NJCAA Top-40 All Star game. At Henderson County High, Outlaw was a three-year starter and a member of the 1,000-point club while being named to multiple all-district and all-region teams. DeAsia is a proven winner at every level she has played," said Turner. "Her energy is infectious and has a 'whatever it takes' attitude. She will go a long way in building our championship culture. We are excited about DeAsia and the game experience she will bring to our team."